See these shelves? They've just had a spring cleaning, believe it or not. Five donated garbage bags of fabric have left the room, and it feels so good. 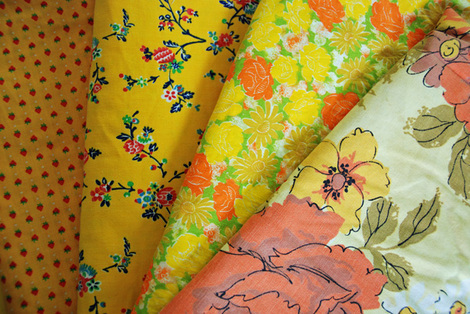 Taking each piece of fabric off the shelf, I asked myself not if I liked it, but rather, did I think I was going to use it. Ah, a revolutionary (to me) way of purging. 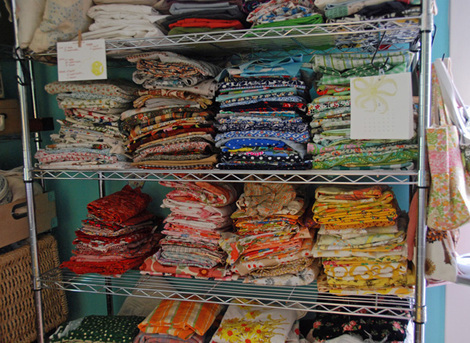 And then I refolded, sorted and organized, and put the 'yeses' back. So good. With that cleaning fresh and feeling good, I was super hesitant about going to this year's annual Salvation Army Fabric Sale. Could I be trusted to not come home with as much as I just cleaned out (see my past years loot here, here and here as evidence of my poor restraint record). The one-dollar-a-pound temptation is pretty huge. I guess it's no surprise that there's a whole lot of yellow. 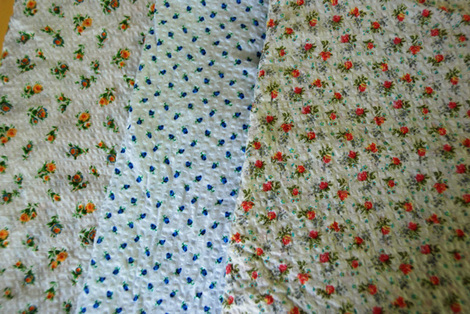 And the top photo's fabric was all picked up with nightdresses in mind, and the second set of fabric with shirts for the boys. 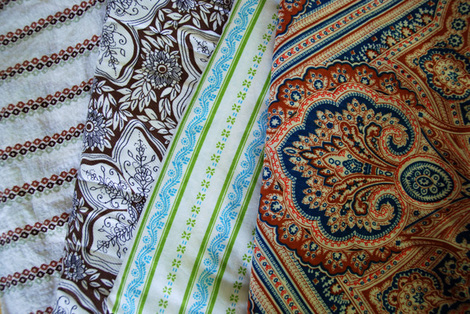 So I've said it outloud now: if you don't see each of these pieces of fabric made into something in the next six months okay, one year, I hereby give you the right to come and take it away from me. Oh, and buttons! 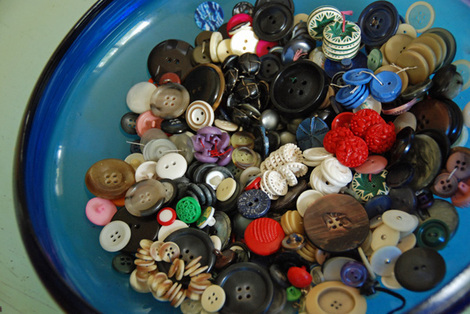 Because buttons come and go and there is always, always, always more room for vintage buttons, don't you think? And yes, this big bowl of buttons is indeed the centerpiece of my table at the moment. And no one, I tell you - no one, can resist pouring their hands through it. Buttons are good.